The people of South Sudan deserve real hope after suffering at the hands of Islamist political elites in Khartoum in recent history, and then being betrayed by political elites in South Sudan after gaining independence. In the past, prior to the creation of South Sudan, various black African ethnic groups faced the brutal reality of Arab slaving forces and a brutal campaign by Arab elites in Khartoum who sought to Islamize and Arabize society. Therefore, the independence of South Sudan should have been about remembering past events and forging a new path based on religious freedom and democracy. 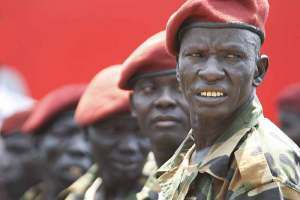 However, internal ethnic divisions between the Dinka and Nuer – and other divisions throughout South Sudan – erupted based on political elites seeking power concentration. Hence, ensuing massacres took place and countless innocents were slaughtered based on ethnicity and other factors. This brutal reality created droves of refugees and setback the newly independent nation-state. Yet, it now seems that President Salva Kiir and his main adversary Riek Machar are set on burying the hatchet because of intense international pressure. Ironically, based on political elites in Khartoum supporting Arabization and Islamization in the past, the deal between Kiir and Machar was signed in Sudan. Therefore, a quirk of history may also lead to better relations between Sudan and South Sudan because of regional shifting sands. Overall, it is hoped that this agreement will be maintained because past agreements soon bit the dust. Equally, if the agreement holds, then Sudan and South Sudan may be able to put past historical events behind them – even if the past is never forgotten because of the severity of the crimes committed by elites in Khartoum. Therefore, the people of South Sudan will be praying that shameful power concentration tactics by political elites will become a thing of the past.